Landlords and Property Managers, Are You Insured Correctly? Landlords and property managers have many unique risks that only a trained and experienced agent can understand. 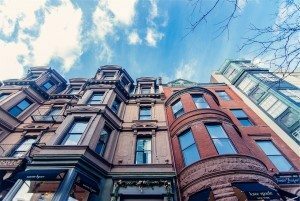 The term ‘landlord’ is broad and can include those who manage rental property, apartments, condominium associations, and commercial property. We offer both commercial and residential landlord insurance, and you can obtain a policy whether you need to cover a single rented property or a large property portfolio. Building Coverage - Allows you to quickly rebuild or repair buildings or other property damaged by fire, theft, natural disasters, or other events. Landlord liability - This is an important coverage and it is designed to protect you against claims made by a tenant or visitor for injury or damage caused by your property. Business Income Coverage - Provides for continued income or lost revenues/rents while the building and its contents are being rebuilt and replaced. Building Ordinance Coverage - Covers the increased cost to comply with building codes, ordinances, or laws that have changed after your building was originally constructed. For example, under revised building codes you may now be required to install sprinklers which would increase the cost of construction. Outdoor Signs and Property Coverage - Covers the costs to replace outdoor fences, signs, trees, shrubs, or plants. Equipment Breakdown Coverage - Covers loss due to failure or breakdown of equipment such as boilers, heating systems, and electrical equipment. Unlike those large national agencies, your Leap/Carpenter/Kemps agent is very local and very accessible. In fact, if you ask our long time customers what makes Leap/Carpenter/Kemps special (beyond the extremely competitive rates that we can offer), it’s the personal relationship that our customers have with our staff. We understand that finding just the right insurance coverages necessary involves our taking the time to know you and your unique circumstances. And the longer that we work together, the better we understand you, and the better job we can do for you over time.